The piece today looks at pre-Second World war Malaya, some aspects of health care and the role of Ceylonese Doctor from Jaffna Dr. A. Viswalingam. Yaws or ‘puru’ is a skin ulcer that occurs mainly in the hot wet regions of the earth. The bacteria that caused it is indistinguishable in shape and size from the syphilis bacteria but it is transmitted by skin contact. It was said that of the many diseases prevalent then, none was of more interest and importance to the Malays than ‘puru’. Although not fatal, it caused much discomfort and distress. While stationed in Kuala Kangsar in 1919, Dr. A. Viswalingam visited Upper Perak and observed several cases of yaws. His opportunity came when he met the District Officer, Raja Abdul Aziz who was himself affected. Realising the causative organism of yaws was almost identical with syphilis he ‘ventured to use Neosalvarsan to treat it’. He offered to treat the Raja with the injection but he was reluctant. Dato Yahaya, the Penghulu of Lenggong who was accompanying the Raja remembered a female relative staying with him who had extensive lesions of yaws. She was anxious to be to be cured and availed herself of the injection. On his subsequent visit a month later, Dr. Viswalingam said, he found almost the whole village crowding at the Penghulu’s house. ‘It appeared’ he said ‘that within the first day or two after the injection the lesions’ of his patient ‘dried up and within the next three to four days the scabs dropped off’. Almost the whole crowd has some manifestation of yaws and desired to undergo treatment. Dr. Viswalingam then ‘undertook an investigation of all the aspects of yaws, ascertaining its incidence by means of a census and launched a systemic campaign to eradicate the disease’. In about three months he treated over 5,000 patients. His report received little notice by the Medical Department, but George Maxwell the Perak Resident took notice and succeeded in helping him mount a systematic campaign for the eradication of yaws in the Federated Malay States. On account of his sterling work in Kuala Kangsar, the District Officer recommended that Dr. Viswalingam should be made the deputy chairman of the Sanitary Board. However, Dr. Dowden, the acting Senior Medical Officer of Perak vehemently opposed this. As a result of this, Dr. Viswalingam was transferred to Kuala Pilah in 1920 notwithstanding protests from the Sultan of Perak. Over nine years from 1921, about 13,000 to 31,000 cases of yaws were treated with Novarsenobillon each year. Although it reduced the prevalence greatly, it was limited to the four Federated Malay States and hence did not manage to eradicate the disease, as there was a reservoir of the disease in the Unfederated States. 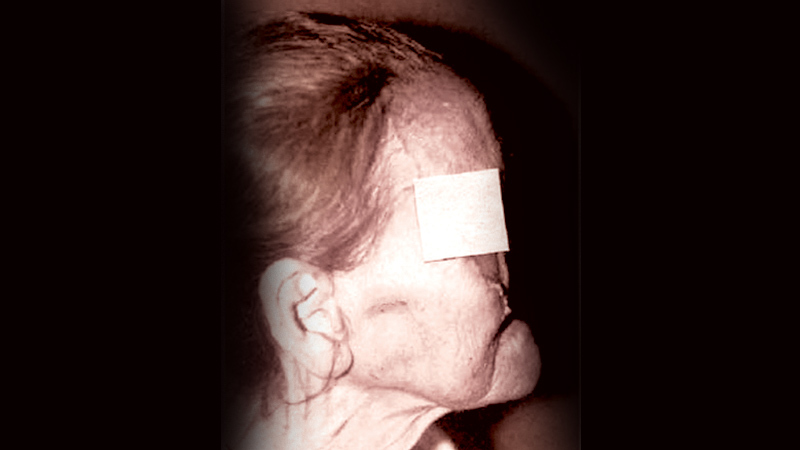 As a result the Post-War period saw a marked recrudescence of the disease. A Viswalingam was born into a family that had resided for generations in the village of Urelu in Northern Sri Lanka. He was the oldest of seven children. At the age of five he was admitted to the village Christian Mission School and completed his schooling at the Canderodia English Institute in Jaffna, passing the Cambridge school certificate in 1906. With a spirit of adventure he got his parents’ consent to visit Singapore in 1907. There he decided to take up the study of medicine and was successful in the competitive examination to select applicants in 1909. He obtained a scholarship of $15 per month and applied for a supplementary $15, which was increased by $5 annually but bound him to serve the government for 10 years, which would be $25 less per year than was paid to those not under such an agreement. Dr. Viswalingam won several prizes as an undergraduate and was the only one out of his batch of 23 who passed all the examinations in the first instance, and one of 6 to graduate within the prescribed period of 5 years. In 1913 he was posted to Perak and for four months was Assistant Surgeon at the Tapah District Hospital, where he caught malaria, despite active treatment. After that he was transferred to Taiping the state capital to help maintain discipline in the school for hospital assistants and nurses. The first World War broke out the next year and when the Medical Officer left for England, Viswalingam was left to ‘cover his duties’. In 1917 he recognized the first case of Pallegra in Malaya and wrote a report that was published in the Journal of Tropical Medicine and Hygiene, London. He had further such patients, all Chinese, and treated them successfully with Vitamin B complex on the advice of Dr. AT Stanton, of the IMR. The cause of pallegra had not yet been determined but then events were hot on the heels of discoveries about beri-beri. Dr. Viswalingam was on furlough in Sri Lanka in 1918 when the influenza pandemic of 1918 struck and Dr. Kanagaratnam who was at his post in Taiping succumbed to the disease. On his return he was posted to Ipoh briefly, then to Kuala Kangsar. There he records he had a record number of ‘rare surgical cases’ performing gastro-jejunostomy, splenectomy, nephrectomy, operations for liver abscess, inguinal hernia, amputations and wiring for comminuted fractures. Medical Officers were actually also technically in charge of sanitation but most were more concerned with the curative aspect and ‘could ill afford to give much time and energy, even if he had the inclination, to attend to sanitary work’. However, during one inspection visit to the town by the Sultan and State Resident where they remarked in the course of conversation there were a lot of flies, Viswalingam was set on the task of public sanitation. He organised the refuse collection, the disposal of ‘night-soil’, lectured and licensed the food handlers and insisted plans for all new buildings be submitted to the Health Officer. These measures were effective. It was also during his stint in Kuala Kangsar that he did his landmark work on yaws, but he was transferred to Kuala Pilah after only two eventful years. In 1922, after two years in Kuala Pilah he applied for Sabbatical leave hoping to pursue studies in Europe. That was denied, but instead he was able to enroll to specialize in ophthalmology in the Eliot School in Madras. He also took a three month course in Obstetrics and Gynaeocology. On his return the next year he was ordered to organise ophthalmic work in Kuala Lumpur at the Tanglin Hospital. In 1930, he applied and obtained approval for Sabbatical studies in Vienna, Austria. On his return the next year he was asked to include ear, nose and throat work. A few years later another European surgeon who was keen on ear, nose and throat surgery came and Dr. Viswalingam was told albeit ‘unofficially’ that he should ‘confine himself solely to ophthalmic work, even though he had been sent to Vienna to acquire this proficiency. In 1932, when Dr. Hennessey the designated Ophthalmic Surgeon of the Federated Malay States retired he should have been made the specialist, but the Principal Medical Officer had the post abolished! Dr. Viswalingam stayed faithfully at his post in Kuala Lumpur when the Japanese invaded and he stayed there till at last the order to evacuate was given on January 8, 1942. However, he got only as far as Serdang and after a short time there returned to Kuala Lumpur to find his house occupied by Japanese troops. Destitute, the Christian Brothers at St. John’s Institution offer his family shelter, remembering his previous services to them. He refused to work for the Japanese, except to offer free service. Slowly his financial situation deteriorated and at the encouragement of the Brothers he set up a clinic and saw patients for a nominal fee. 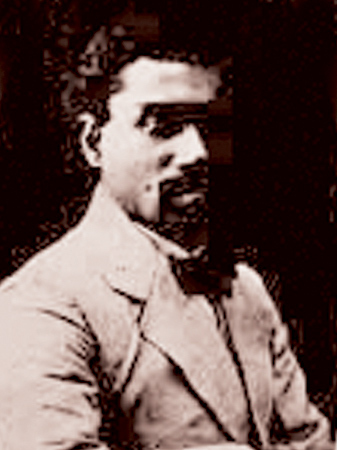 When the British returned, Viswalingam immediately rejoined the medical services and set about reconstructing the Eye Department in Kuala Lumpur. Again officialdom dealt him a raw deal. He had reached the prescribed age for retirement. A new and better scheme of service was introduced. However, he was not allowed to extend his service to benefit from it, even though he had set to work immediately, while British expatriates were given full paid leave to recuperate for six months. He described this as having ashes in the mouth. In retirement he did some private practice but his wife was anxious to take their younger six children back to Sri Lanka. Accordingly, he left in 1951. He practiced in Colombo and became president of the Ceylon Ophthalmological Society, founder president of the National Association for the Prevention of Blindness and was Honorary Member of the International Agency for the Prevention of Blindness. Malaysia cannot quite claim full ownership of Viswalingam. He lived in an era of a borderless world, one which we shall one day again hopefully see. His legacy should not have been so easily forgotten and he ought to receive the accolades and honours he so rightly deserved.